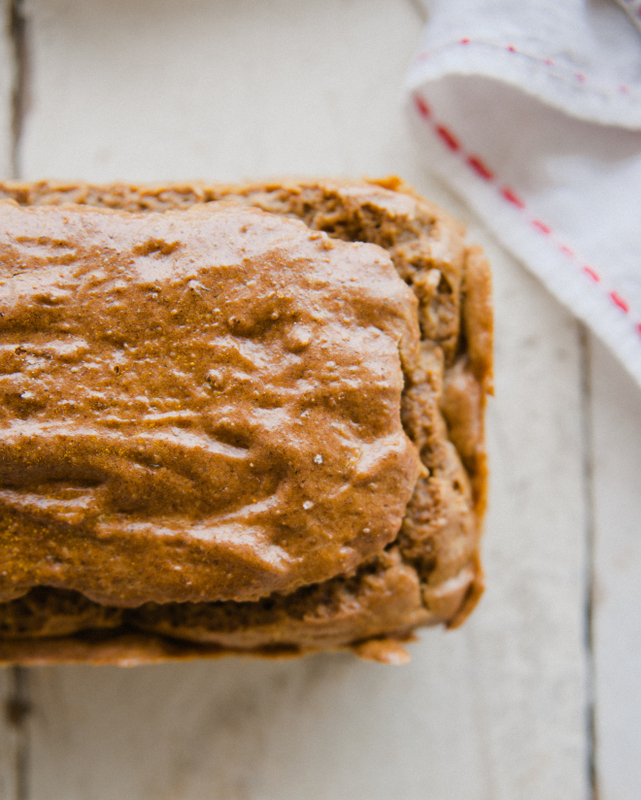 Turmeric Bread, our Savory staple here at Sweet Laurel. 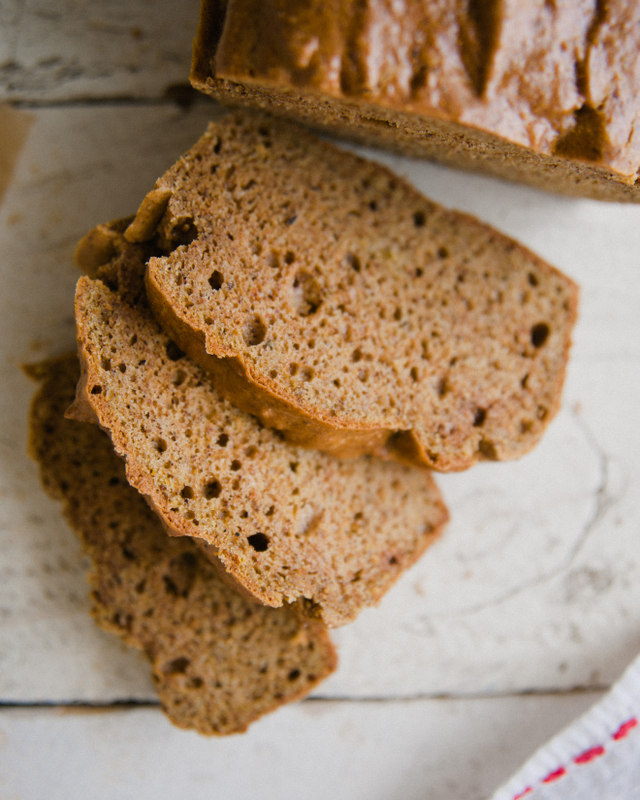 This bread is grain free and so versatile! We love piling avocado on top or better yet simply toasting it with jam! Turmeric is popular right now, and it is no wonder why. It has amazing anti-inflammatory properties and is a powerhouse in natural medicine. 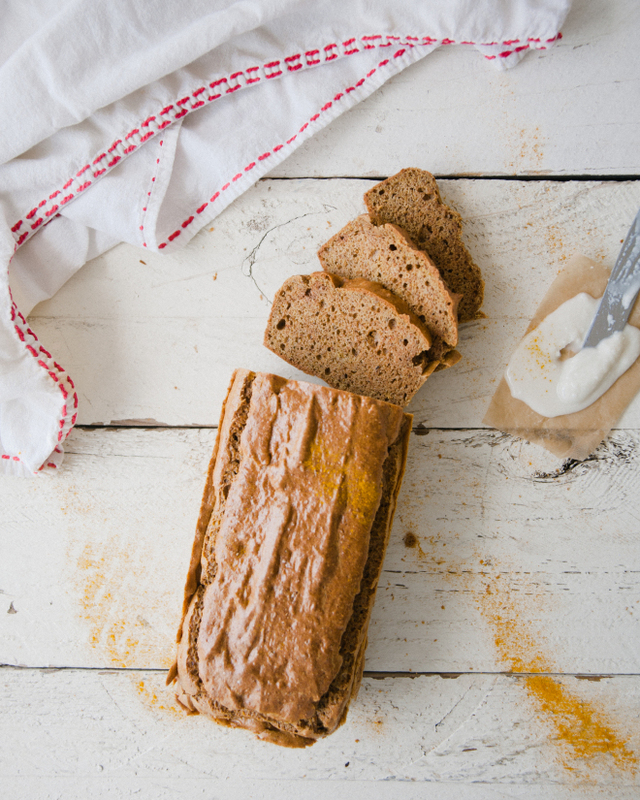 This Turmeric Bread was inspired by our favorite local juicer, Renew Juicery. Brooke, the master juicer over at Renew creates beautiful, organic juices and almond mylks using locally sourced ingredients. Our favorite almond mylk is her Turmeric Spice flavor. We were blown away by this concoction, so much so, we created a recipe with it. Here is a version of our original creation! Enjoy! Prepare a standard sized loaf pan by lining it with parchment paper or greasing with 1 teaspoon of coconut or avocado oil. In a medium bowl, mix together all the dry ingredients. In a separate medium sized bowl, beat together cashew butter, eggs and egg whites in a mixer until smooth. Slowly add water to the mixer, followed by dry ingredients, then add apple cider vinegar. 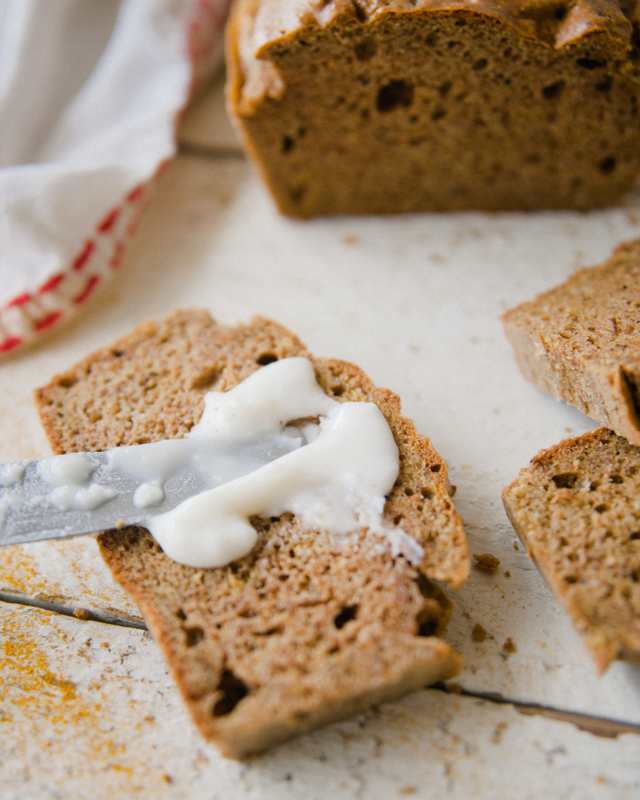 Pour into prepared standard sized loaf pan and bake about 20 minutes, or until a toothpick comes out cleanly. This entry was posted in baking and tagged autumn, bread, gluten free, grainfree, refined sugar free, tumeric on October 16, 2015 by sweetlaurel. Have you guys ever considered opening a store front? Yes we have! That would be a dream come true! Yay! I’m so excited for this recipe! Thank you! Hi Laurel, this loaf looks absolutely divine! I was wondering whether you have tried/managed a vegan version? I’d guess 2 flax eggs would work but for the whites would I add a bit more baking soda? Do you have any opinions on using chickpea-tin liquid? Maybe from jarred beans would be better but my instinct is always to rinse away ANYTHING that comes with a packaged product for fear of what might be in it! Hello! This bread is delicious! I would try flax ‘eggs’ or pysillium husk. I have actually never worked with chickpea tin liquid. Sounds very interesting. Hope this helps, enjoy!! I’m totally actually gonna get round to making this this time!! Do I want 4 flax eggs or 2? I would try four. Have fun! Thanks!!! 😘 And (as I’m in the UK) am I right in thinking almond flour is dehydrated and ground almond milk pulp? Or is it ground whole almonds? Or ground blanched almonds? There’s nothing actually called “almond flour” here just ground almonds (blanched) or make-your-own! Best GF bread I’ve ever made, thank you! I’ve made this bread before and love it! However, I am just starting to follow the Plant Paradox diet and Dr. Gundry isn’t a fan of cashews. I was wondering if you might have a suggested substitute? I was wondering about macadamia nut butter? You can definitely use macadamia nut butter. Any nut butter will work, it may add a bit of a flavor. I’ve used tahini, almond butter and sunbutter as alternative butters and had success. The sunbutter turns the bread bright green for some reason… fun for St. Patty’s Day ;). I can’t wait to try this bread! I’ve been GF for four years now having suffered my severe digestive issues, brain fog, lack of energy and night terrors (oddly enough they stopped days after I eliminated gluten from my diet). Even without gluten, however, my brain fog has reappeared and I’ve been suffering from bad eczema for almost a year now. Last week, I decided to cut out all grains, diary and refined sugar and my skin issues have almost completely resolved, like magic! 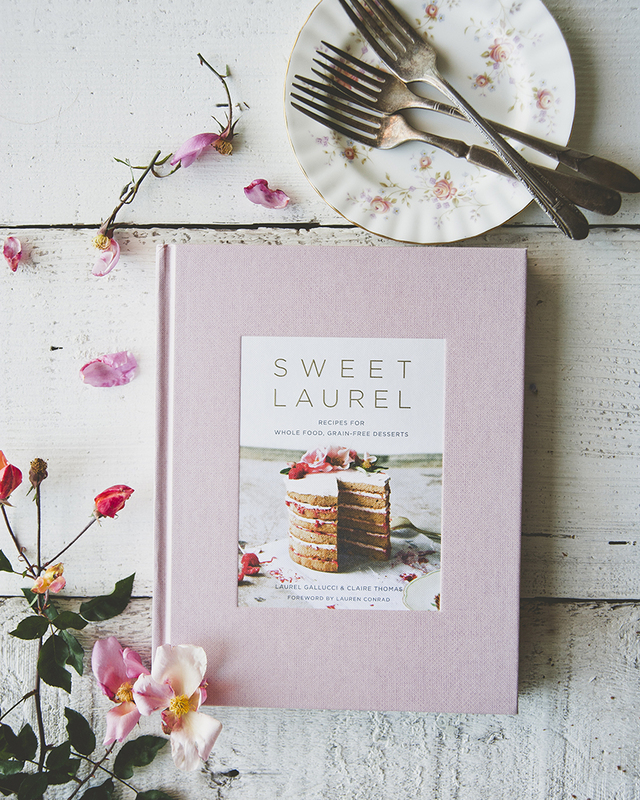 Laurel, you are an inspiration to me and I can’t wait to pick up a copy of your cookbook. 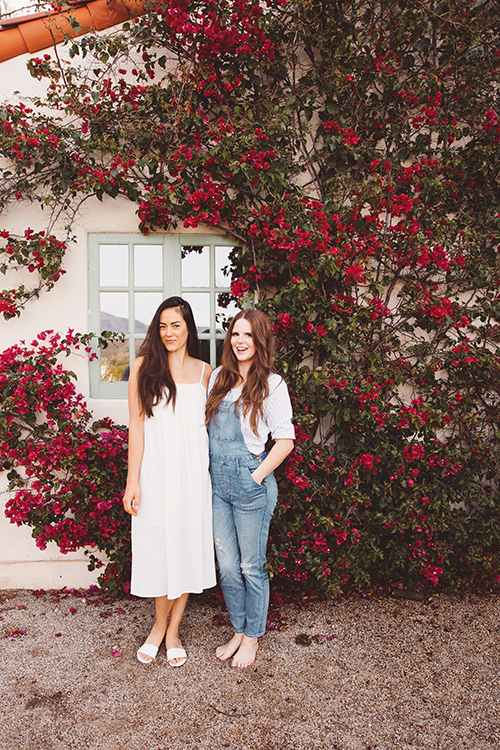 Thank you for sharing your story and beautiful recipes!